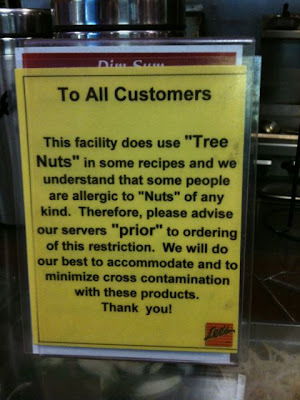 I knew about nut allergies, but I didn't know they applied to imaginary nuts. Thanks, Paul. Not only that, but you can tell your server after or during when they serve you, as well? That's nice of them.